Despite the huge number of people claiming the great taste of taking fresh wheatgrass alone, for some (including myself in it), it tastes horrible. The first time I tasted it, I almost vomited. It is a taste that is more like getting used to it. But the health benefits of wheatgrtass can make it more than worthwhile to try these wheat grass drinks and mocktails having the dual benefit of great taste and at the same time absorbing the healthy ingredients. Below are some recipes I have tried myself. I hope you enjoy this power drink as much as I do. 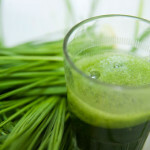 Every having a problem like where to get wheatgrass shot, especially when you plan to make some wheatgrass grass drink? So be sure to have your own shot of wheatgrass at home this will same a lot of time and convenience, especially when you plan to make your own wheatgrass drink! This organic wheagrass juice powder can help you make your wheatgrass juice drink faster. Simple just use the powder then add water to have your instant organic wheatgrass juice! Wheat grass juicer is one important tool to make wheatgrass juice. Throughout the years expert have create a machine that will make the process of making the wheat grass juice easier by using manual wheat grass juicer and electric wheat grass juicer. Below are some of the miracle wheatgrass juicer! Manual wheatgrass juicers is one of the most hated of people cause you have to do it manually to extract the juice of the wheatgrass but the wheat grass juicer itself is very durable and easy to use. One of the simplest way to extract the green wheat grass juice is use an electric wheatgrass juicer. There are plenty good model but here are some of my recommendations. So far this is the best electric wheatgrass juicer for that I have experience, people not only love it’s easy function but also the cool color or black mix with chrome. How to drink or prepare wheatgrass juice? How to make different kind of wheat grass juice and drink? 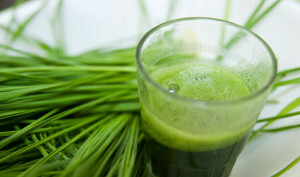 Below are some free wheatgrass juice recipes on how to make your own fresh wheatgrass juice! It’s not just an supplement anyone but it’s a lifestyle! Mix all ingredients together and drink while still fresh. Chop the apples, celery and lemon into chunks to fit in your juicer. Blend together with wheatgrass juice. Combine fruit juice with all other ingredients. Top with pinch of cinnamon. Combine and mix all ingredients together. Top with mint and serve. Mix all ingredients and drink while fresh. Blend in your smoothie machine. Blend together with ice cubes in your smoothie machine. Mix all ingredients together in your smoothie machine. Mix the 2 ingredients and drink for an instant energy boost. I am searching some tips that make wheatgrass juice taste good. I will try to juice wheatgrass with carrots and apple. Because I like eating carrot and apple.